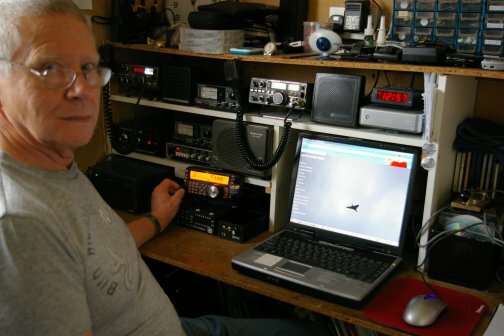 Hi, my name is Eddie Marshall and I've held the amateur radio call-sign, G4PPB since I was first licensed in 1982. I'm over 65 years old and I live in the town of Wigan in north-west England. Wigan is located approximately half-way between the cities of Liverpool and Manchester. For the benefit of other amateurs my QRA locator square is IO83QN. I'm married to Lilian who is also licensed with the call-sign G1EPF. We've lived at this address for about 35 years. It was originally a "Council House", that is, social housing built for rent by the local authority, but we bought it in 1983. In fact the estate in which this house stands, named "Beech Hill," was written about by George Orwell in his famous book, "The Road To Wigan Pier." 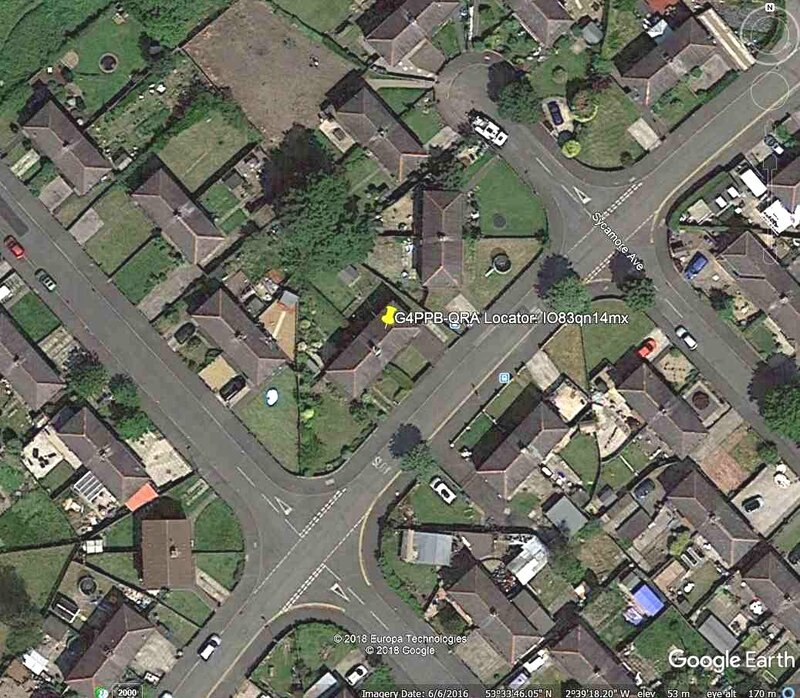 You can see our house by clicking HERE. To return here, click the "HOME" button on the top banner. I used to enjoy building radio and other electronic projects but I'm afraid that the ravages of time, especially in the eyesight department, means that I don't do much construction these days. Also, a slight shaking of the hands when wielding a hot soldering iron can lead to disaster, or pain, very easily! However, not long ago I discovered the mode of transmitting text named PSK31 and built a simple interface to enable me to use it. This requires a computer sound card to be connected to the audio in and out connections of the radio, maybe the microphone and extension speaker sockets. My radio, like other newer radios, has a dedicated data socket which makes lead building much easier. If you just run wires between the computer and the radio there is a risk that, at worst the computer could be damaged or, at best you could introduce noise into both incoming and outgoing signals. You can see a circuit diagram or schematic of the interface by clicking on the "Circuits" button on the banner above. Anyway, this site is basically about my hobby of amateur radio. I do not pretend to be an expert in any aspect of this hobby, indeed, I'm still learning every day, even after 30 years plus of on and off activity. So have a look, perhaps you can correct any errors I make, (there's bound to be some! ), or feel free to have a browse around and if you've any comments, send me an email. To see my profile on eQSL, the electronic QSL bureau, click HERE. All images on this site are the property of the author, except where otherwise credited.